Huge improvements in image quality of industrial cameras have resulted in a proliferation of industrial cameras in film production. The small and hugely reliable cameras generate images of excellent quality in processes where large-scale film technology has no access. Whether in drones with acceleration rates of many g or in multi-cam systems: SVS-Vistek industrial cameras generate broadcast-standard image quality. If you want to virtualize 3D images, precise cooperation and timing of all connected cameras is essential to avoid image distortions. The excellent I/O timing of SVSCam cameras keep post production efforts low. 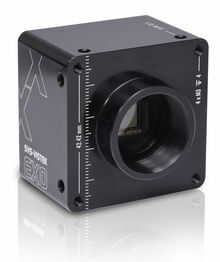 With our lens control and our MFT cameras we create focusable cameras via ethernet interface. In perfect optical quality better than 4k. 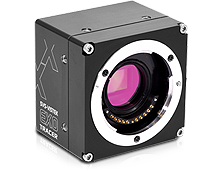 Machine vision cameras very often are used in extreme environments or hard shocks and vibration. A solid camera design is essential for this kind of advanced film sets.